You’ve never taken a 360° selfie? OK, so they’re hardly the ultimate in travel photography, but with the virtual reality era said to be just around the corner (don’t hey always say that? ), adding an element of wraparound this 360° footage to your travel photography can’t be a bad thing. Available in black, pink, white and gold, this small (just 26.5g!) ball containing two fish-eye lenses – each with an aperture of f2.4 and a field of view of 210° – attaches to the micro USB connector on any Android phone or tablet. The Insta360 Air is so simple to to use; you just shove it on the end of your phone, turn your phone upside down, and the (free) companion app launches immediately. Within seconds you can be filming or taking photographs in 360°. You can use a finger to scan around the scene while you look through the live preview on your phone. Once you’re done, photos can be exported in all kinds of shapes and sizes, including side-by-side formats for watching in VR headsets. However, it’s the novelty ‘little planet’ and circular images that are great for Facebook et al. And the app can link to an account for easy upload. You can also use the Insta360 Air to stream live in VR to Facebook or Twitter, which may become a thing in the coming years. However, there are a few problems with the Insta360 Air when judged purely as a gadget for travelling with. The most annoying feature is that it must be recharged using a proprietary cable that’s about 15cm long. Sturdy and bendable. it’s there to make the Insta360 Air into an impromptu 360 webcam, but it’s just something else to pack. An option to recharge is by the exactly the same cable you’re already using to recharge your Android phone would have been nice (it also means you can’t use an external, portable battery of the kind TravGear never leaves home without). Something else you cannot do is de-attach the Insta360 Air from your phone and control it remotely, or do time-lapses, so as a semi-pro tool for travel photography or videography, it’s sadly lacking. That’s a pity, because its little brother, the Insta360 Nano – which is of different design and purely for Apple devices – can be set-up anywhere and controlled manually, or via the app. That said, we like the Insta360 Air. The build quality is excellent, it’s really easy to use, and it’s selling for a low price. 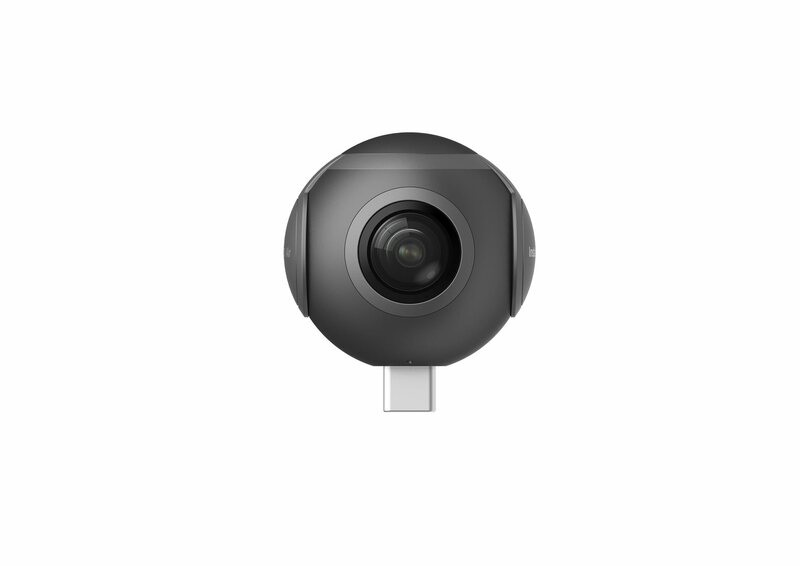 The 360 videos and photos is produces are not top, top quality – photos and three megapixels and video less than Full HD (2560×1280 pixels to be exact), but the latter look smooth enough at 30 frames-per-second. Since the world is in 360, it makes sense to experiment with shooting it in that way, but does the world need 360 selfies? TravGear isn’t sure, but it’s fun finding out.